When the National Energy Board (NEB) issued their paper on Emerging Issues in Oil & Gas Industry Safety Management, they established the ground rules that essentially ‘put safety and environmental protection at the forefront of its responsibilities in protecting Canadians’. From the perspective of industry leaders, oil and gas producers now have a set of guiding principles upon which to gauge their current processes and look for any gaps in their corporate safety culture. 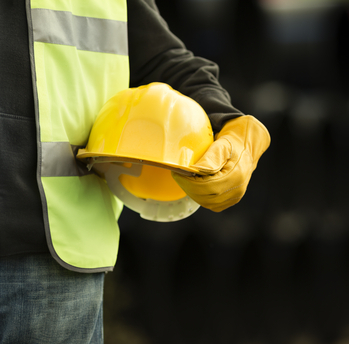 At the risk of stating the obvious, company leaders do have a profound influence on overall safety culture. Their attitudes and day-to-day decisions guide the corporate performance and culture. It is management that sets the standard for safety culture throughout an organization, by taking an active role in overseeing the safety of the company’s operations. The management of processing safety risks should have equal status with other business processes such as financial governance, markets, and investment decisions and so on. Effective implementation of management systems is what companies find difficult. Effective management systems must be consistently applied and thoroughly integrated. They facilitate the process by which companies share information and intelligence thereby promoting better decisions. Although everyone in a team has a role to play in ensuring an organization’s safety, security and environmental protection, goals and accountability must be assigned. Performance and improvement of integral safety systems should be measured and tracked on an ongoing basis. It is one-dimensional and is an incomplete and inaccurate account of the overall level of safety of an activity, a facility or organization. As many high profile incident investigations have demonstrated, focusing on personal injury data while limiting or excluding information related to process safety and corporate culture can have catastrophic effects. For the purpose of creating a more complete picture of safety performance, regulators and companies should consider indicators relating to both high frequency, low consequence events (typical worker injuries) and low frequency, high consequence incidents (fatalities). An effective understanding of present risks must ensure that active and potential threats to process safety (asset integrity, human factors, organizational deficiencies, and safety culture) are effectively identified and managed by companies in order to maintain the greatest margin of safety. The Senior Leader Considerations recommended after each of the issues is considered by many industry analysts to be very helpful. They comprise lists of possible questions to start a dialogue within a company and generally provides a great deal of information that is actionable. In order for companies in the oil and gas industry to demonstrate safety as a priority in their organization, leaders must consider the example they set, the effectiveness of management systems and hazard identification. By addressing these three issues, business leaders can begin to take responsibility for safety and pursue a better overall workplace.